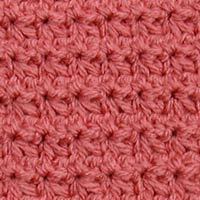 Ever since the 63 Squares Crochet-Along began, many folks have had difficulty with pattern stitch #6, the trinity stitch. I’ve been meaning to write a tutorial, and a request on the Crochet Partners list yesterday finally spurred me on to finish it. I would love your feedback on it! Great job Donna! But what I really want to know is, how’d you get all those little pictures? ;) Truly, that is a great tutorial and I’m sure it will help a lot of folks get through a tricky square. Hi, I was glad to come across your tutorial. The problem I am having with this stitch, is actually the ends of the rown. They are slanting inward even though I am being really careful. Can you give me a tip? I did finally figure out how to count the stitches on this one, but still can’t seem to solve the problem. I want to thank you for the tutorial. I started a throw 5 years ago based on the trinity stitch, because I loved it so much. I didn’t get to finish it due to wrist surgery and am just now trying to complete it and am having difficulty. 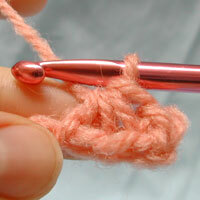 I found this tutorial in search of an answer as to why my stitch appears different from when I originally started. Can you please answer this question for me? Are you suppose to insert the hook into the stitch closest to you or the back stitch of each subsequent row? My new stitches have a ribbed look whereas my previous rows are smooth and flat? Please help me if you can!! Seriously…this is fantastic! I remember all of the struggling I did with this stitch, and had this tutorial been available when I was messing with it, I wouldn’t have gotten nearly as frustrated with it as I did. Really, super job on it! The tutorial was right on target. It was so easy to follow and understand. The photos really helped set it off. Thanks!